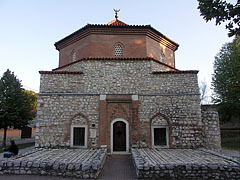 "Bey" is an Ottoman (Turkish) military rank. 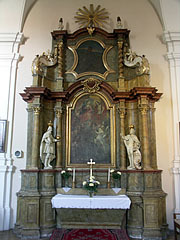 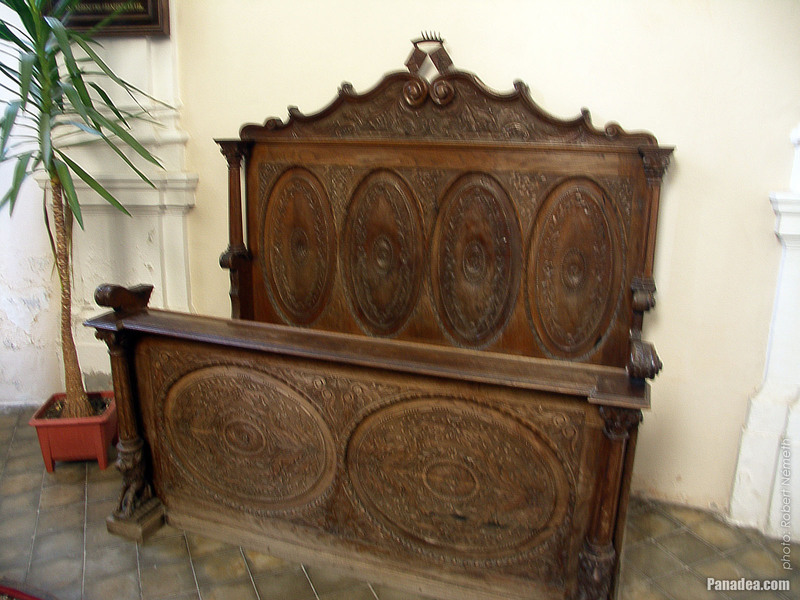 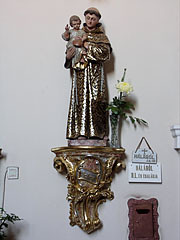 The wood carved so-called "Squire's Pew"
It was created for Count Móric Benyovszky in 1921. 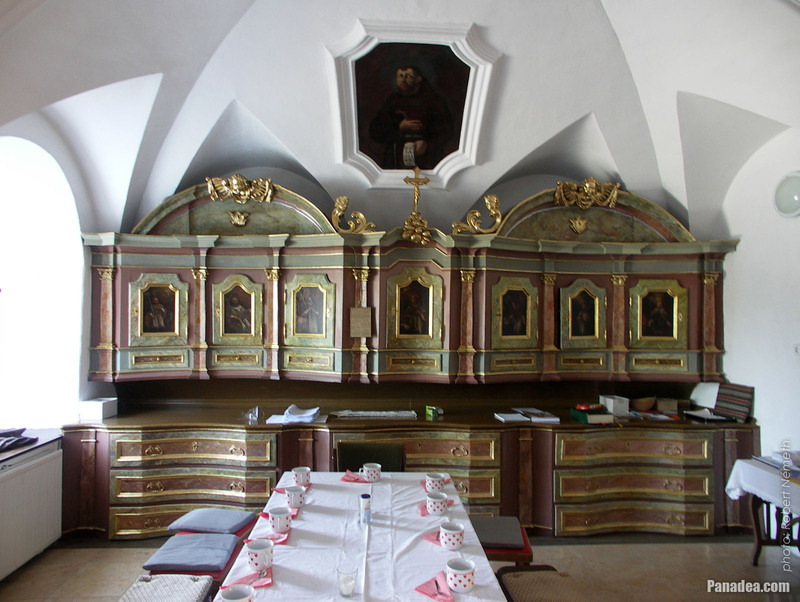 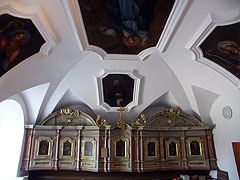 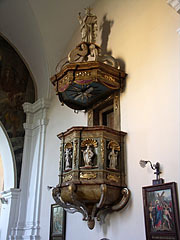 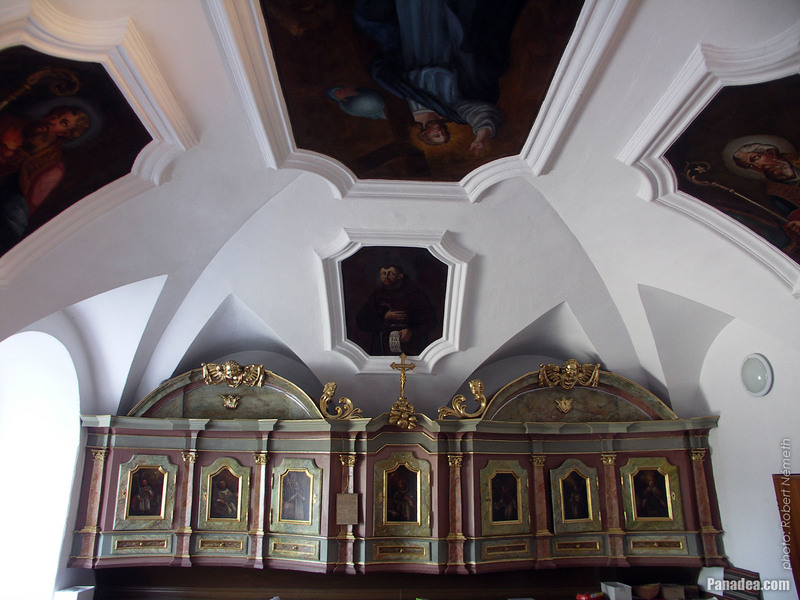 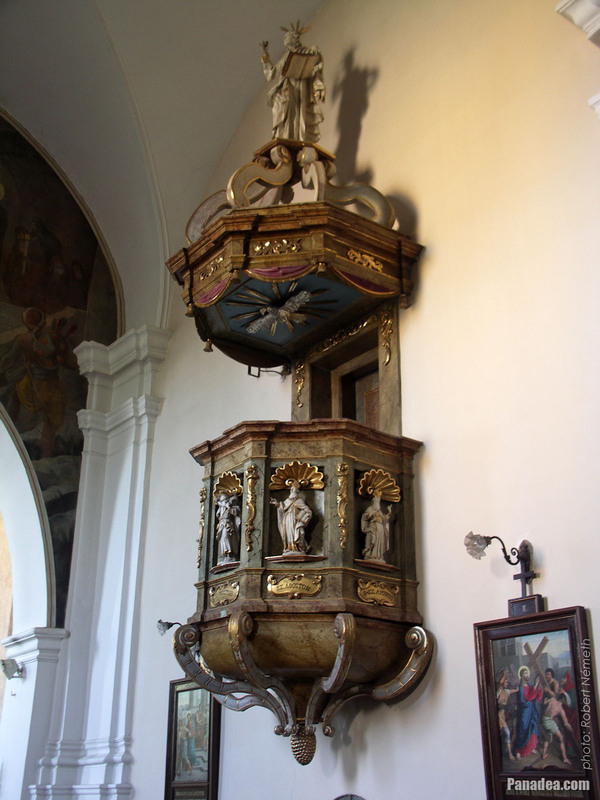 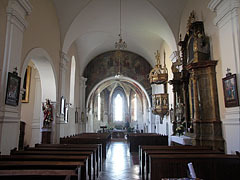 A smaller room near the sanctuary to keep the liturgical objects and for the preparation for worship. 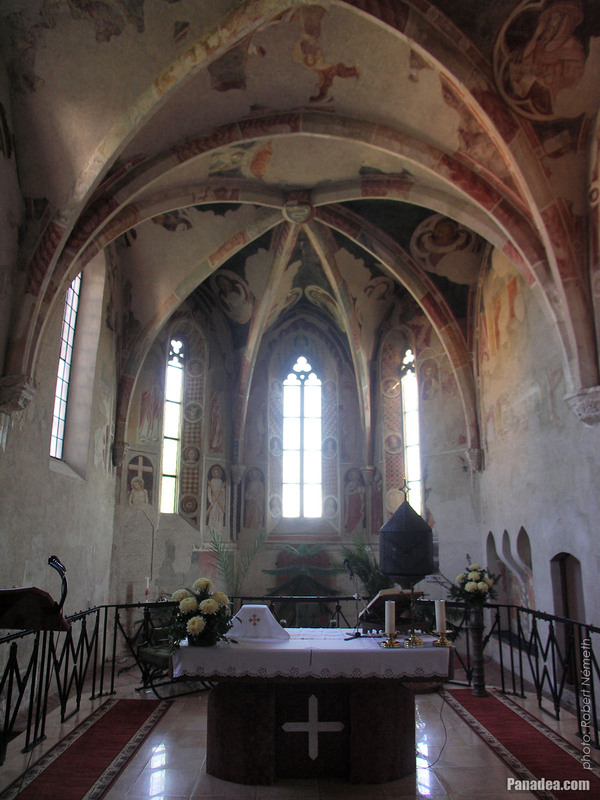 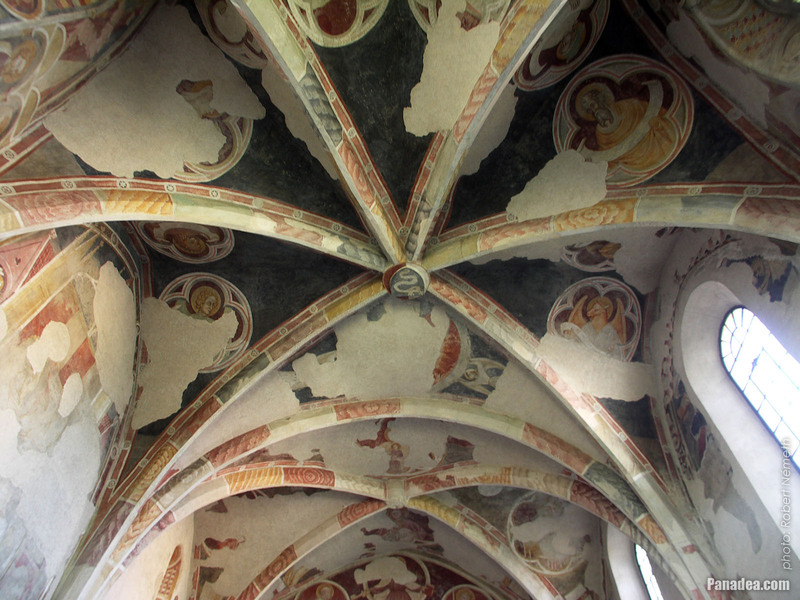 The murals were painted by Italian masters, in around 1410. 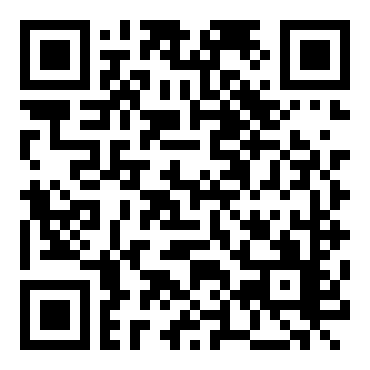 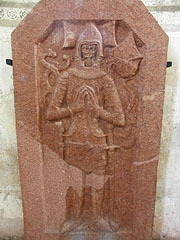 The first written reference about it is from 1333. 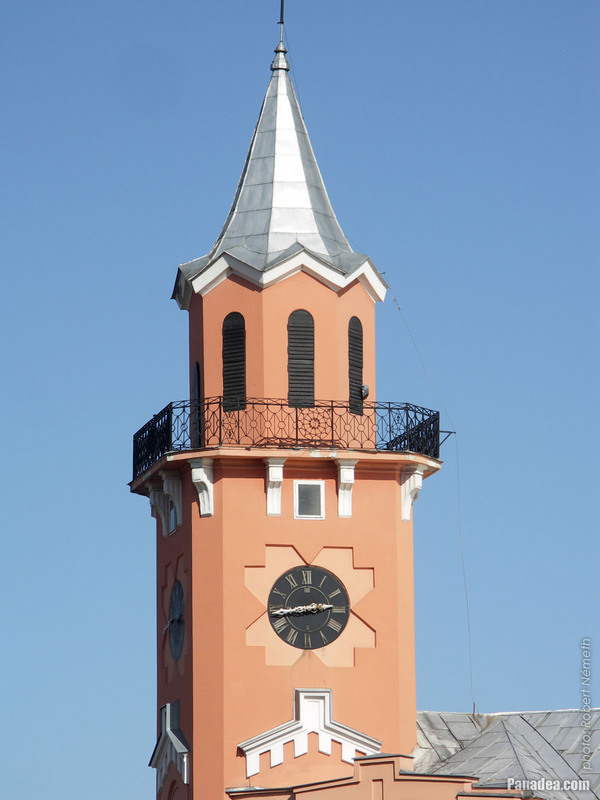 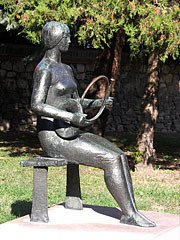 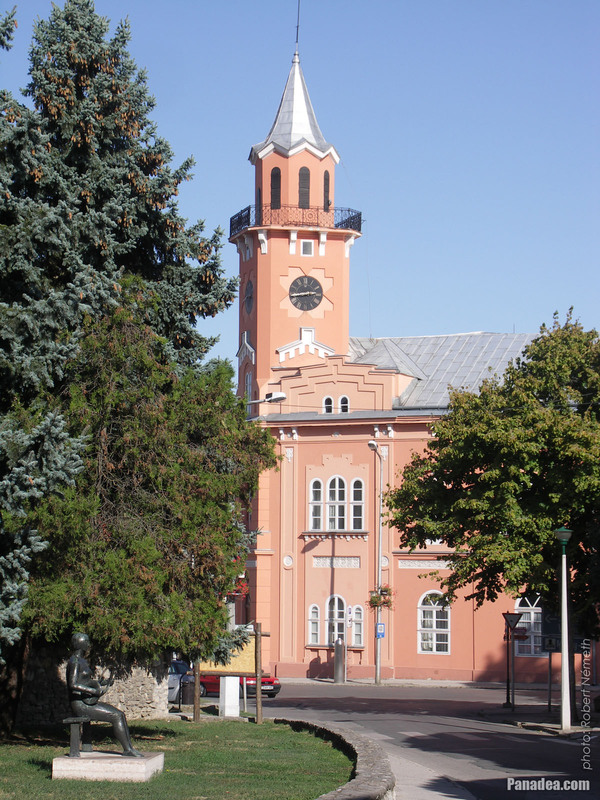 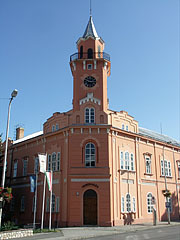 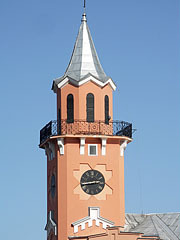 The clock tower of the red-painted Town Hall, and a bit closer in the park a bronze statue: "Girl with a trumpet"
Created by István Martsa in 1967. 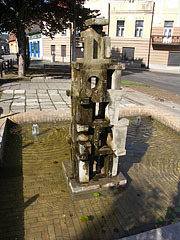 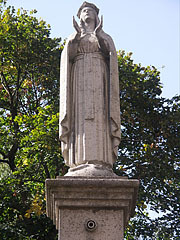 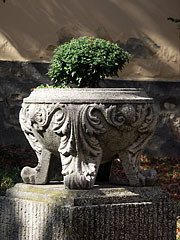 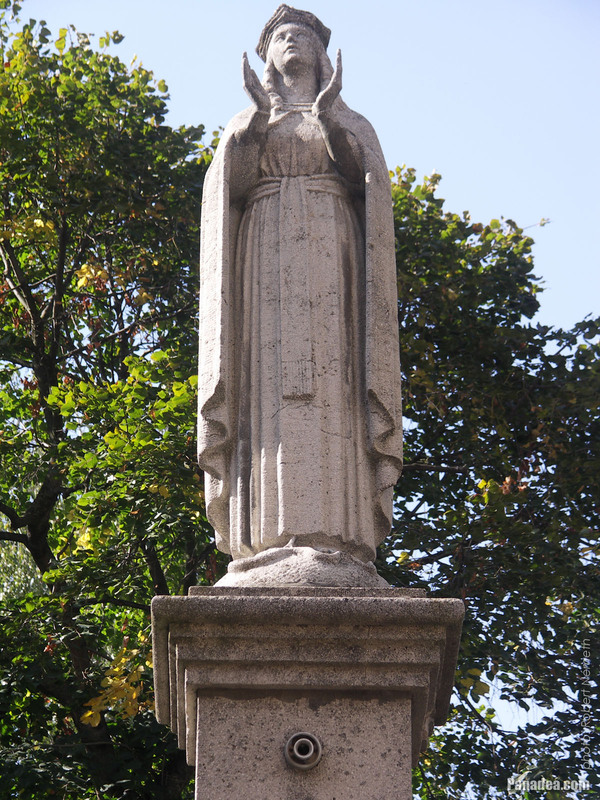 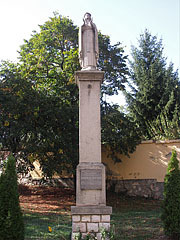 The Europa Nostra Awarded monument was reconstructed in the early-1990s. 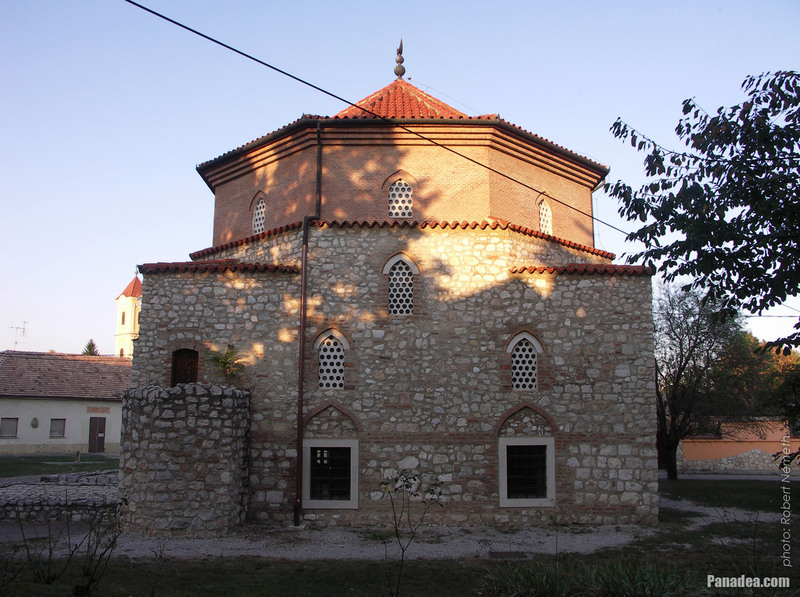 During the archeological excavations in the sanctuary of the Holy Trinity Church of Siklós a red marble tombstone was unearthed. 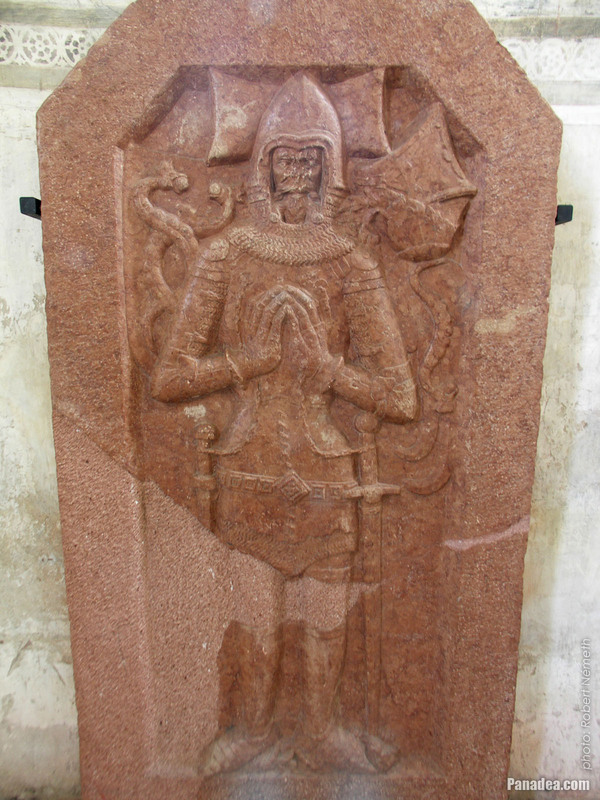 Although it had no any inscription, based on a coat of arms on it it is probably the tomb of Palatine Nicholas I Garai (in Hungarian "Garai I Miklós nádor") who died in 1386. 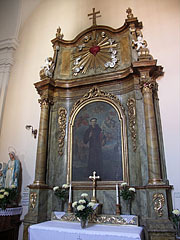 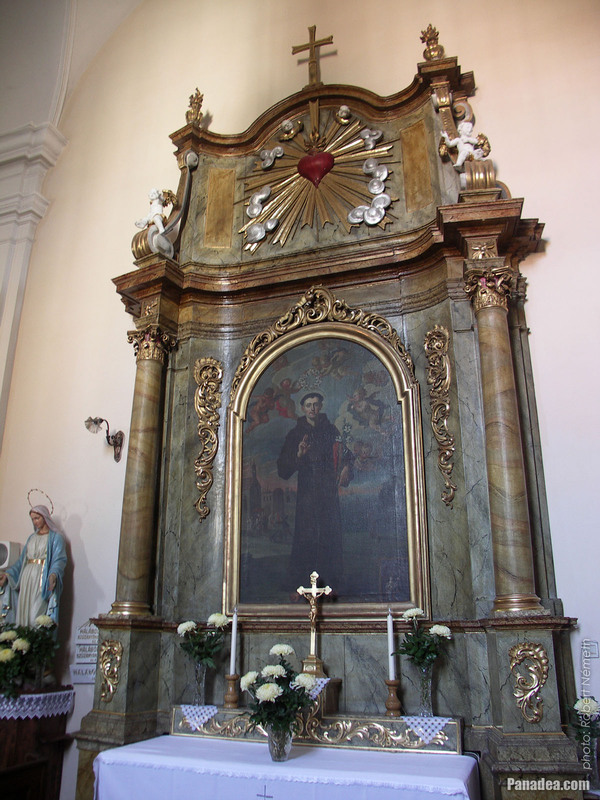 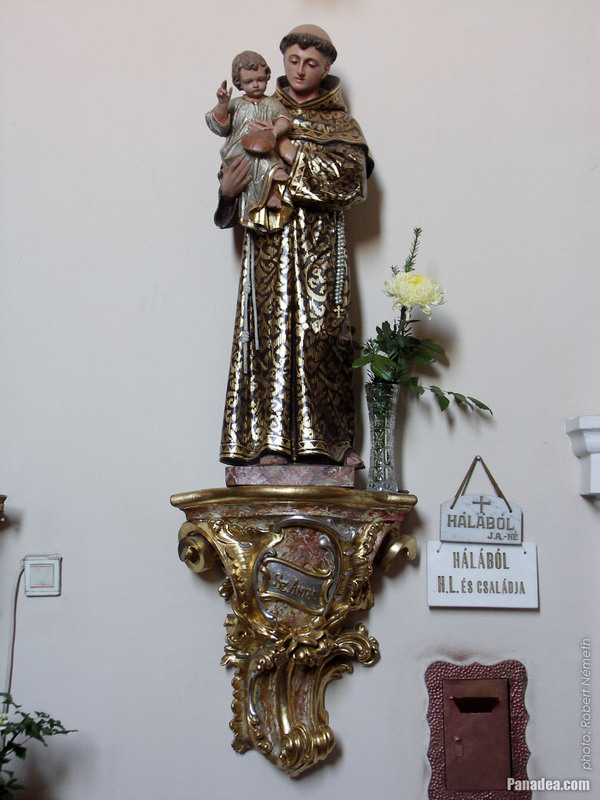 If that was the case it is also sure, that his son Palatine Nicholas II Garay (or Garai Miklós II) Ban of Croatia, Dalmatia and Slavonia had the gravestone brought here beside the altar. 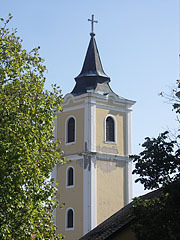 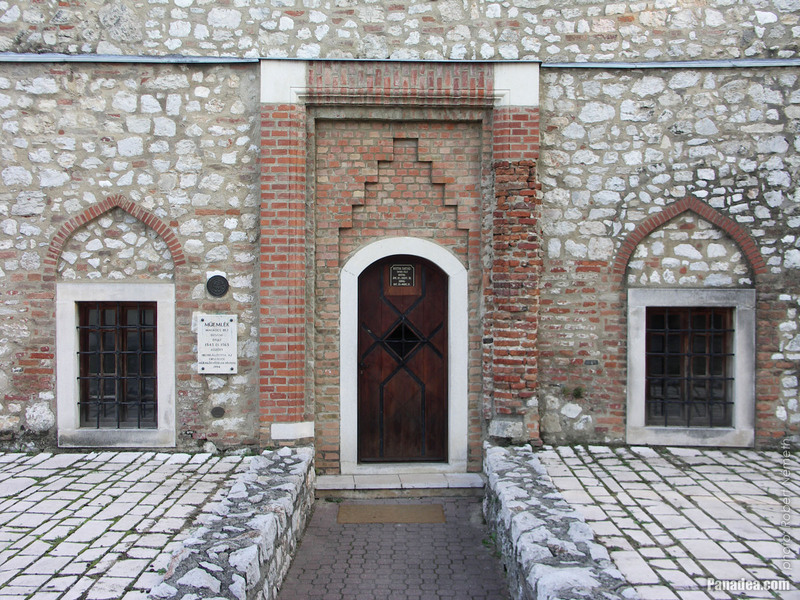 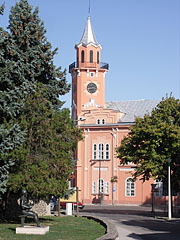 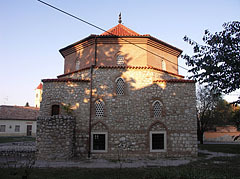 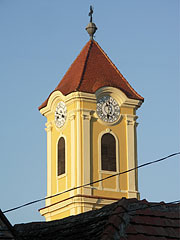 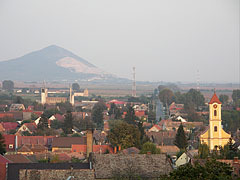 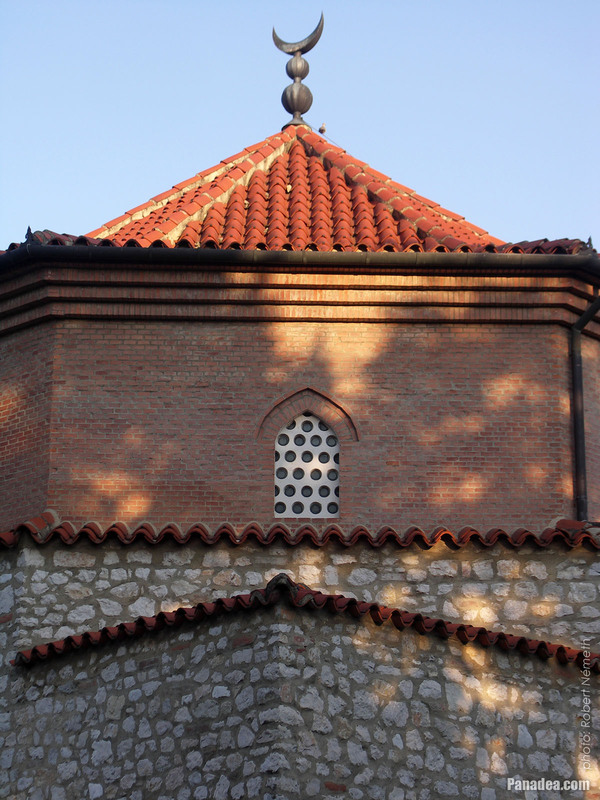 The Mosque of Malkocs Bey (in Turkish Malkoç Bey) of Siklós is one of the Turkish-Islamic architectural monuments of Hungary that is existing even today. 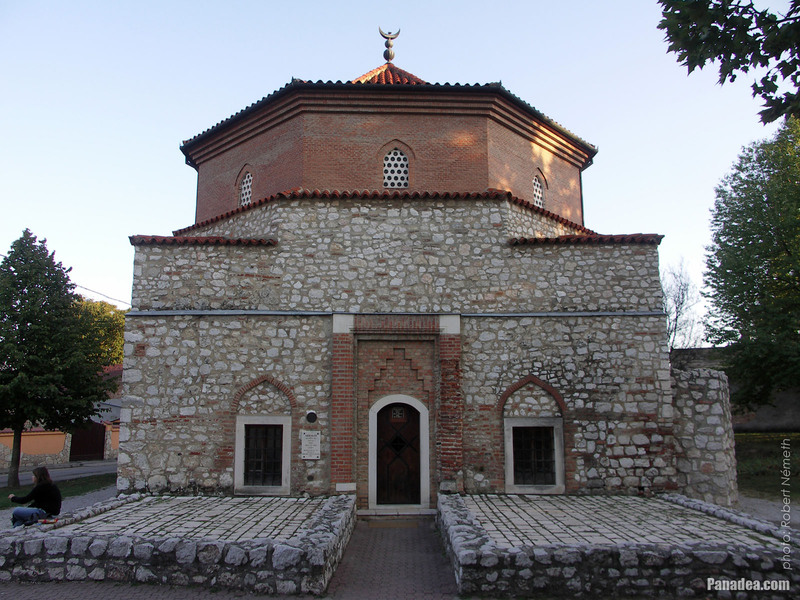 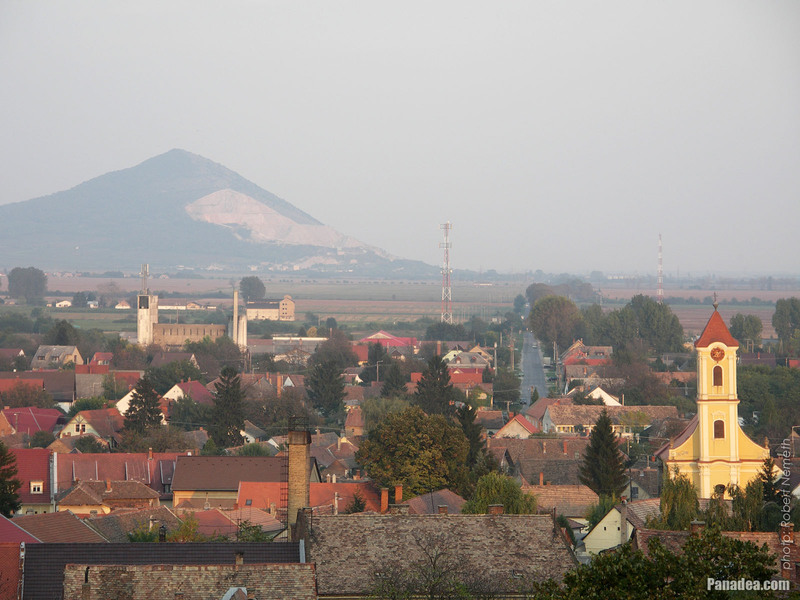 The temple was built between about 1543 and 1565, during the Turkish occupation (the Ottoman rule) of Hungary. When Siklós was recaptured by Hungarians in 1686 the mosque was still intact, but after some time the building began to deteriorate. 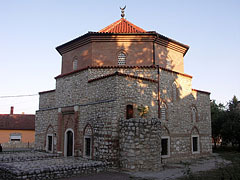 The minaret and the courtyard (the so-called "sahn") was destroyed, and the building was also altered more times. 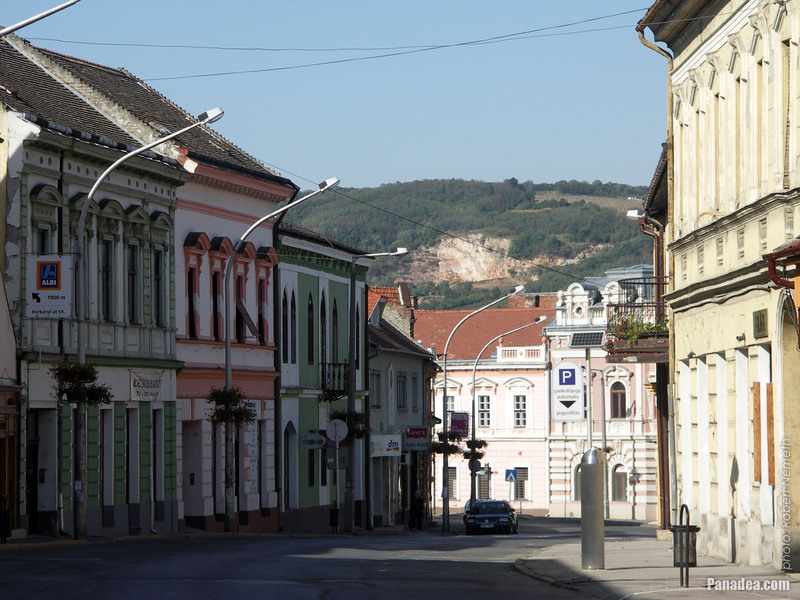 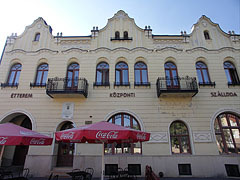 The archeological investigation of the rundown building was begun in 1969, the exploration was led by Győző Gerő and Ferenc Mendele. 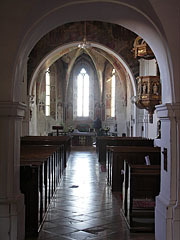 But the restoration works began only in the early-1990s and these were completed in 1994. 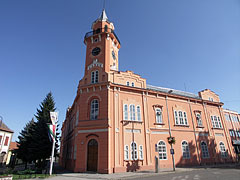 The building received the prestigious Europa Nostra Award already in 1993, this is the cultural heritage conservation prize of the European Union (EU). 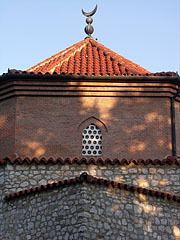 The reconstruction of the mosque interior was done with the help of the Ethnography Museum of Ankara, Turkey (they contributed to the furnishing by donating authentic objects as well). 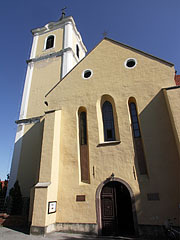 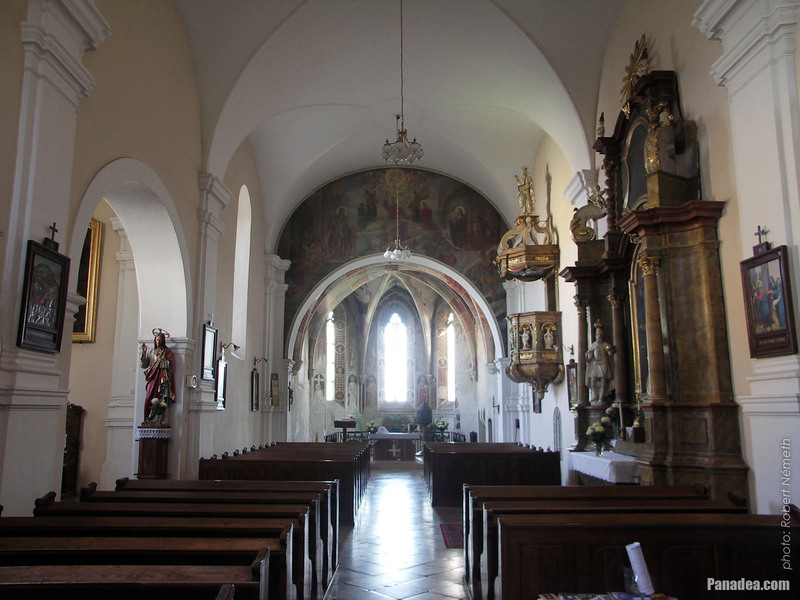 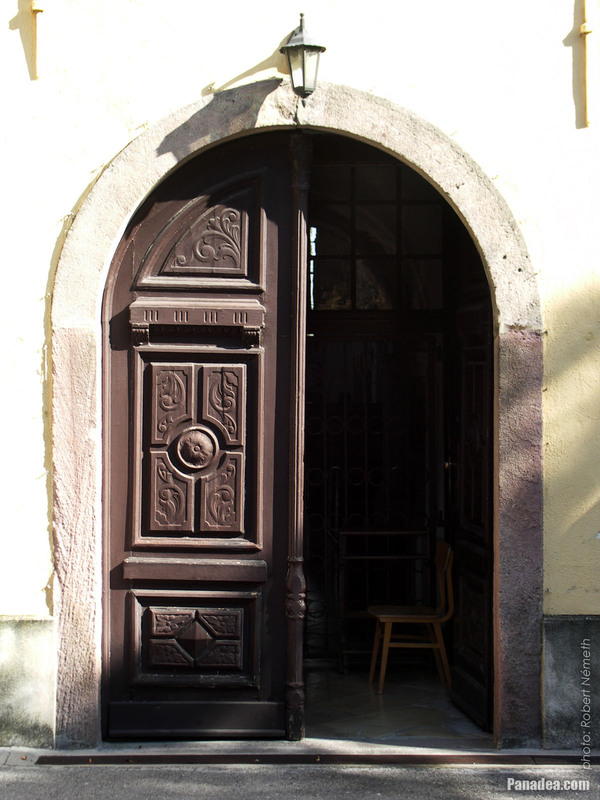 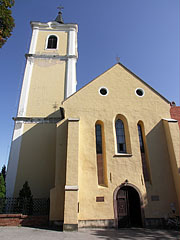 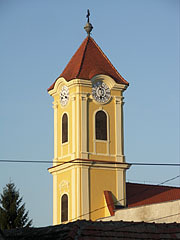 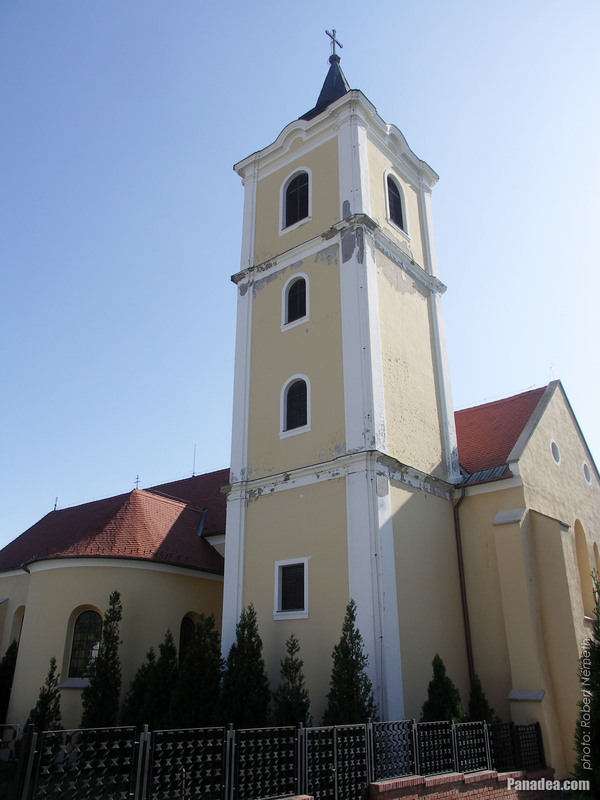 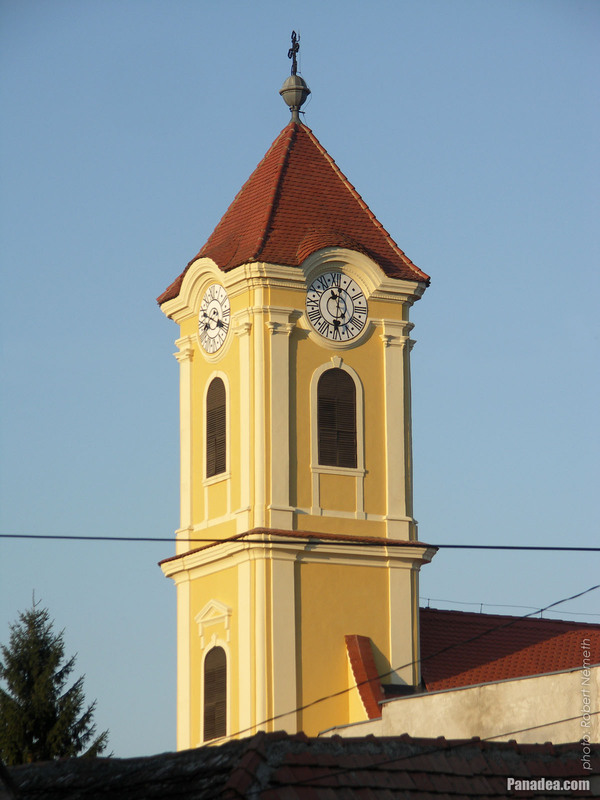 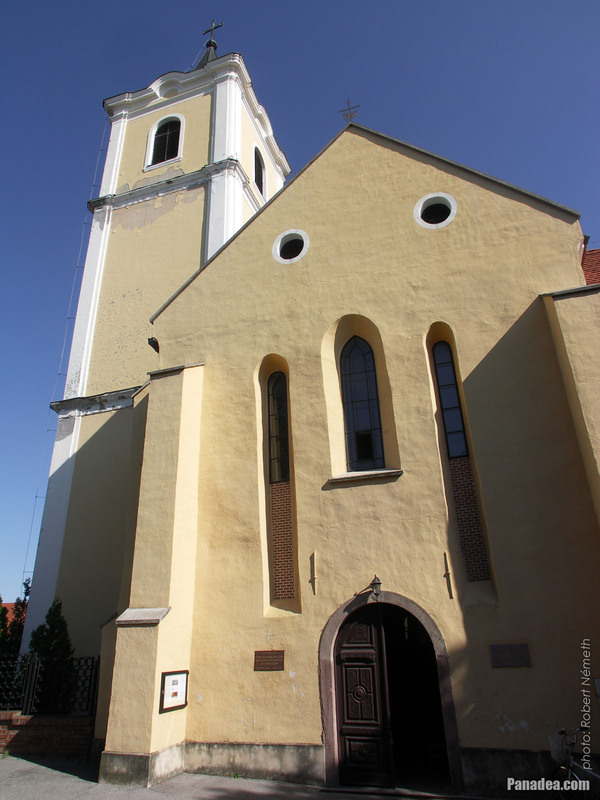 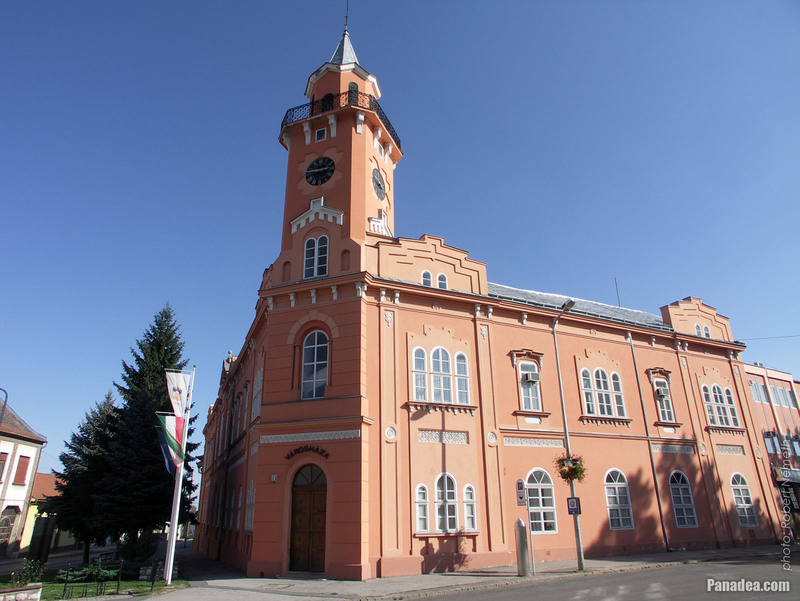 During the ten-year Yugoslav war which was started in 1991 the building fulfilled its original function again for a while: a small Islamic community who took refuge in Hungary allowed to use it as a place of worship. 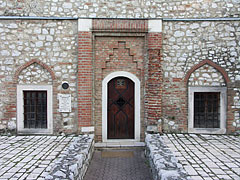 An additional curiosity is that inside the mosque allegedly clay jugs were built into the walls, in order to improve the acoustics.